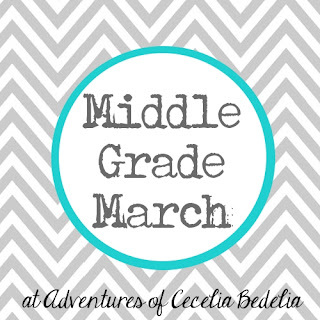 Happy Friday and welcome to Middle Grade March! What’s Middle Grade March? Last year I focused on middle grade (MG) books all throughout the month, and I really enjoyed the experience. I also discovered a lot of lovely books. So: I’m doing it again. During March my reviews and content will highlight middle grade fantasy (and perhaps sci-fi, if I see anything appealing), and I’ll keep the calendar below up-to-date with links to everything. Look out for giveaways! Do you have a favorite middle grade book? Recommendations welcome! What a great idea and I am totally impressed that you have the whole month plannned including some great MG books. I will be looking forward to your post all month. Yay! I'm a huge MG fan, so of course I'm excited to read everything you have in store for us this month (and hopefully find some new beloved reads). Oh, I have several of the books you're reviewing lined up in my TBR! Sounds like fun! I'll look forward to it all. Have you read Keeper of the Lost Cities or My Unfairy Tale Life? They are both soooo fantastic! I love Fablehaven by Brandon Mull and The Ranger's Apprentice series by John Flanagan. Looking forward to seeing what you have up this month!